Kenneth is a 2004 honor graduate of Seton Hall Law School. Because of his experience and training, he is a Certified Civil Trial Attorney. Only 2-3% of the attorneys in the State have obtained this prestigious award, and Kenneth obtained it at his first opportunity. He had only practiced five years prior to obtaining this certification. He has maintained it ever since. Kenneth was born and raised in Brunswick, Georgia. He graduated from Georgia Southern University in 2000 with a B.A. in International Studies and a minor in French. He then worked in communications for a year before deciding to attend law school at Seton Hall University. He graduated in 2004, with Honors. Thereafter, he clerked for the Honorable Ross R. Anzaldi, P.J.S.C. As a law clerk, Kenneth saw how the court system works from the inside. He was able to assist the judge with his motion calendar, his opinions, and his trial docket. After completing his clerkship in 2005, Kenneth then went on to work with a large personal injury firm in Middlesex County. It was there that Kenneth began trying cases almost immediately. He worked tirelessly regardless of the case to ensure he and his clients were prepared for everything that happens at trial. After about seven years, Kenneth moved on to another smaller law firm, continuing his success in the courtroom. 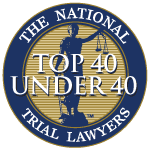 He was able to work with the clients from beginning to end, answering questions and assisting them through the difficulties of the litigation process. Kenneth is a member of New Jersey Association of Justice (NJAJ), the Middlesex County Bar Association and is a trustee on the board of the Middlesex County Trial Lawyers Association. 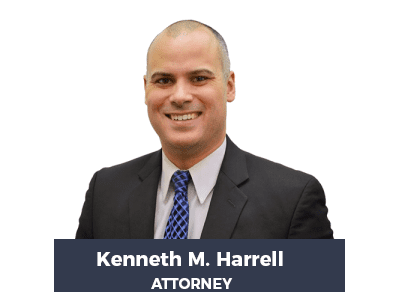 At Harrell, Smith & Williams, Kenneth works on all types of cases. He is meticulous in his preparation, as is reflected in his successes.